Buy 2 or more for just $19.98 each! 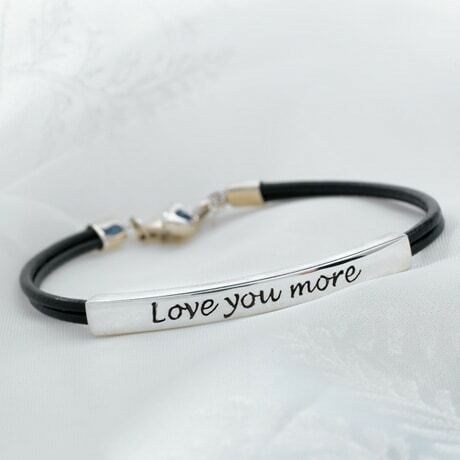 A perfect gift for any beloved, this understated bracelet gently circles the wrist with subtle grace. 2"L sterling silver bar on an adjustable 7 1/2"-7 3/4" leather double cord.